Have you also noticed the bright yellow flowers in the grass, along the tiny daisies? Yes, the dandelions are blooming on these sunny Spring days. Maybe you are bothered by these flowers in your lawn and have you tried hard to remove them. But they keep on coming back…perhaps with a reason?! It makes sense to me that a plant like this, which grows unimpeded from early spring until late autumn, must be a powerful plant. 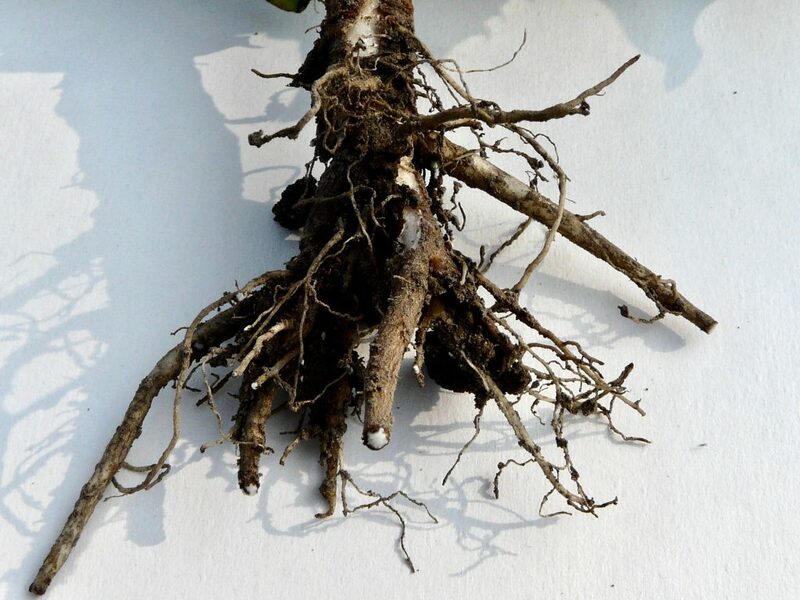 In fact, it’s almost impossible to eliminate them as they have such strong roots growing deep in the ground. Every little piece that remains in the soil will make a new plant. And the dandelion also has the ability to adapt to every soil. You might notice that on a poor soil the leaves of the dandelion will be deeply toothed as on richer soil they will be oblong. It’s much easier to let them grow and use them in your kitchen instead of fighting against it. I hope I can convince you of how beneficial and wholesome this herb is! The Latin name for dandelion is Taraxacum officinale. “Officinale” refers to the valuable and medicinal benefits of the plant. The dandelion is widely spread and common all over the world and has approximately 250 species. The toothed leaves refers to its French name ‘Lion’s tooth’. This herb was already used by the Arabs in the 11th century and the Chinese wrote about it in 659. All the parts of the dandelion can be used. Although some people can react allergic to the milky sap. Dandelion is rich in calcium and vitamin K, which is essential for the growth and strength of bones. It is also rich in antioxidants like vitamin C and luteolin, which protect the bones from age-related disorders like osteoporosis and arthritis. These antioxidants also keep the liver functioning in optimal gear. It’s one of the best medicins against liver- and kidney diseases. Because of its antioxidants it’s also used to prevent cancer as they reduce free radicals in the body and thereby reducing the risk of cancer. An extract of the root works laxative and improves the digestion. 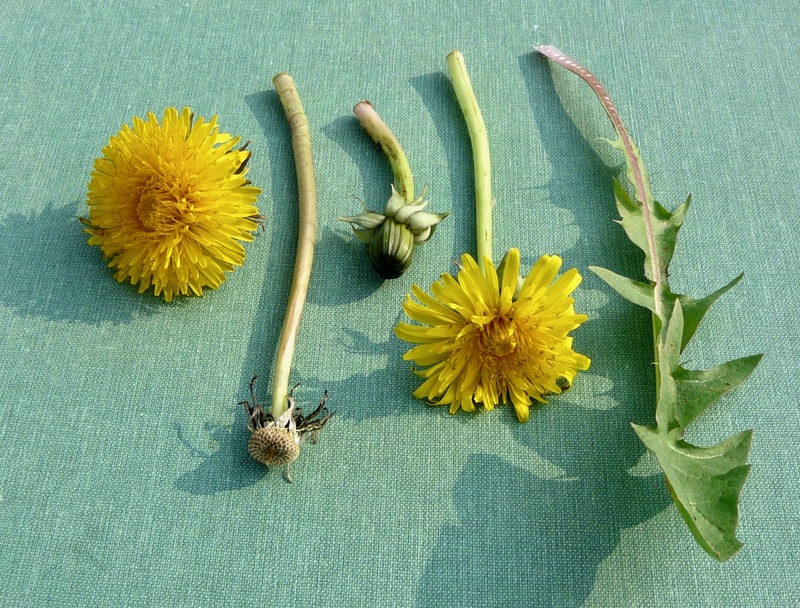 It turns out that dandelions contain a good amount of inulin, so adding it to your diet will help you improve the bacterial flora in the intestinal tract. Dandelion extracts are highly diuretic in nature, so they help eliminate toxins from the kidneys and the urinary tract. 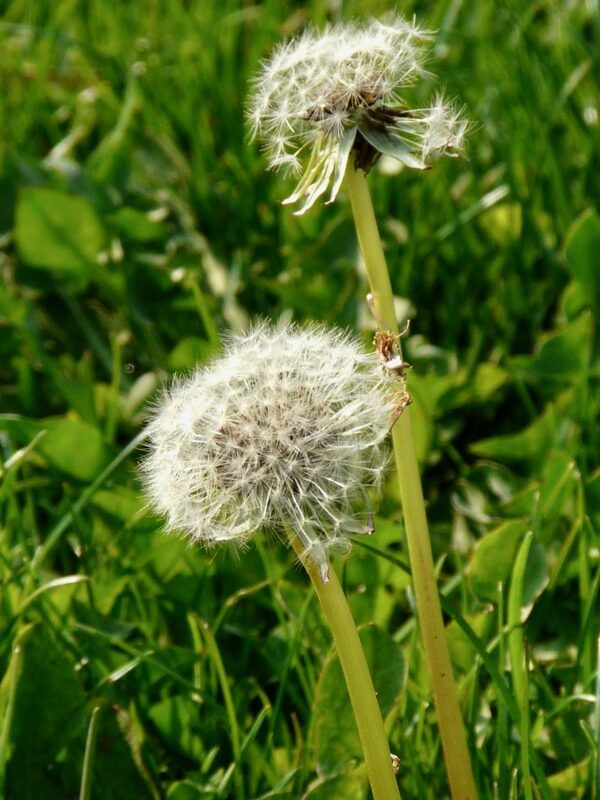 The disinfectant properties of dandelions als inhibit microbial growth in the urinary system. In fact, its diuretic properties are so well known and strong that in France, the flower is also called “pissenlit” which means “urinate in bed”. 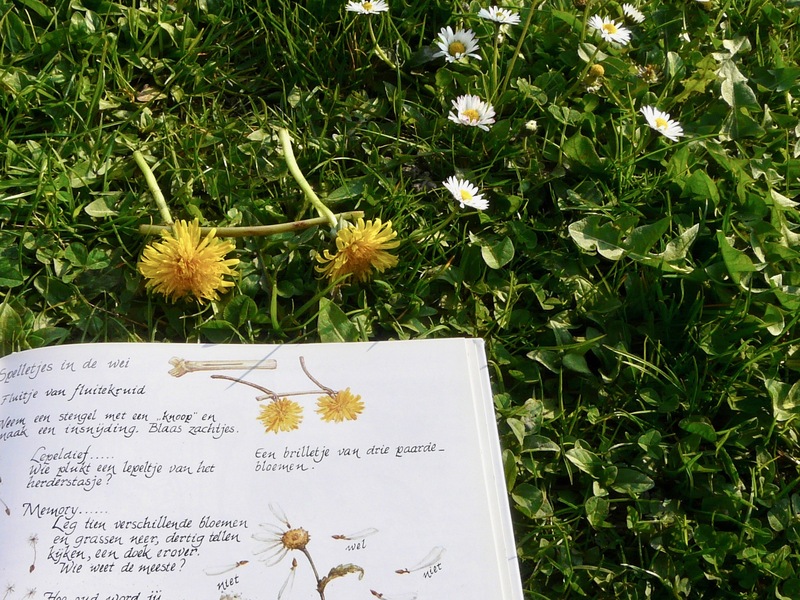 Maybe you also have a national name for dandelion that refers to its diuretic benefits. 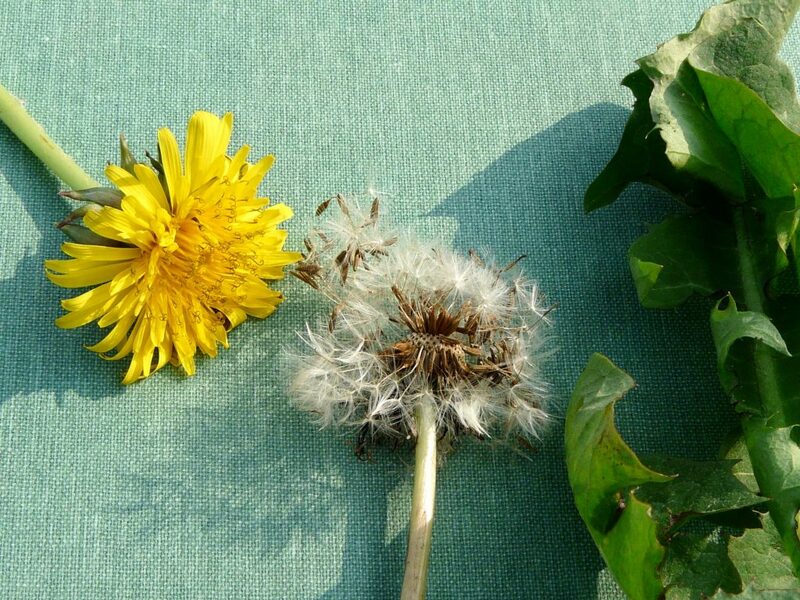 Dandelion juice, being diuretic in nature, increases urination, both in quantity and frequency. The fiber in it is also helpful in reducing cholesterol and thereby assist in providing relief from hypertension. 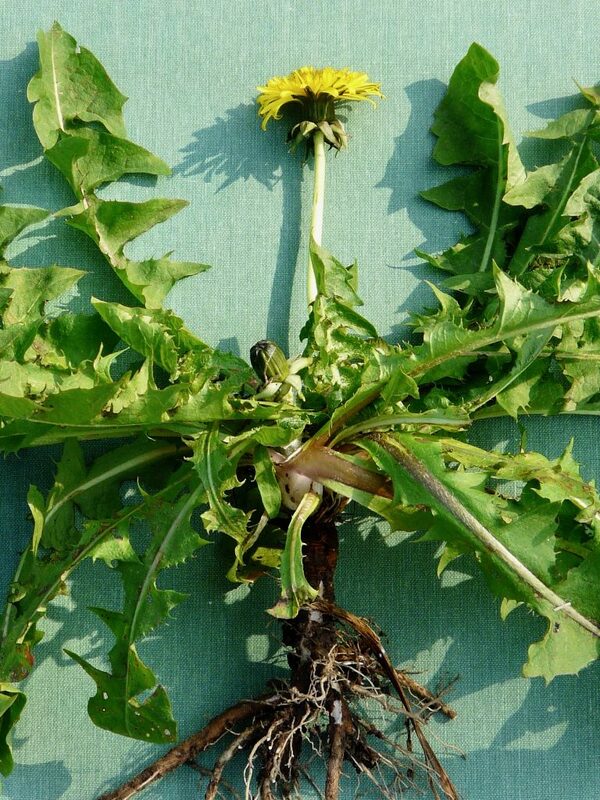 The high potassium content in dandelions is very effective in lowering high blood pressure by replacing sodium. One more last benefit is that dandelion juice is effective against acne. Being a stimulant, diuretic, and detoxifier by nature, it can help regulate proper secretion of hormones, increase sweating, and widen the pores. All of these factors help facilitate the removal of toxins through sweat and urine. 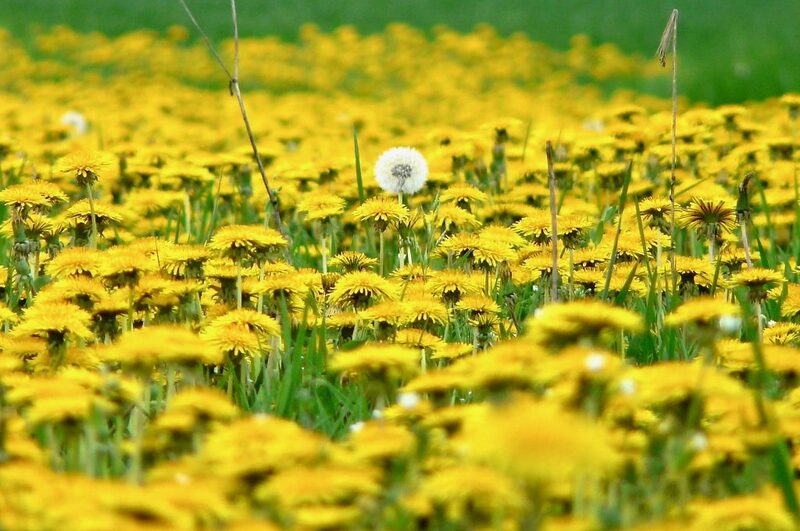 Dandelion sap, if externally applied, can inhibit microbial infection and reduce the signs of acne. This is also why dandelion sap or milk, is useful in treating skin care diseases which are caused by microbial and fungal infections. It’s also used to treat bruises. There is much more to tell about the benefits of dandelion but this is it for now! I think this herb is growing in its perfect time and that during Spring it’s a wonderful herb to use. At the end of winter our energy reserves are probably used up and we’ve eaten heavy stuff. Our kidneys have worked hard and need a detox. And right now the dandelion is growing and will lend us a hand! So how can we use this herb? In Spring we can eat the young leaves in a salad, and sprinkle some of the flower petals on it. Also add some daisies and you’ll have springlike salad! These dandelion leaves are one of the first fresh green leaves in nature to cook with. You can also use it as endive because of its bitter taste. But once cooked, approximately 10 minutes, the bitter taste is gone. Or use the leaves to make your own pesto. Often the leaves are grown without light and these white leaves are a delicacy in some restaurants. I once made jelly from the flower petals but that wasn’t a great success. I now rather use them to make tea. Just steep the flower petals in boiling water and enjoy this healthy cup of tea! Or in winter one can use the dried leaves. It’s not possible to dry the flowers because even if you pick them, the flower continues to ripe. Where you start with a pot of flowers, you’ll end with a pot of fluff! It’s best to dry the young leaves in early spring. Afterwards all the energy goes to the flowers and the leaves become bitter and dry. The roots can be dried and roosted to use as coffee. One can also make a brown natural paint from the roots. The roots are best harvested in autumn. They are the supplies for the winter so during winter they are “eaten” by the plant itself. In summer and autumn they are filled with the perfect sugar-like compounds we need for a good taste. If you have kids, you can make dandelion glasses or a flower chain!